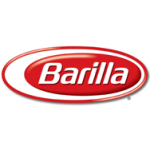 The Barilla group is a leading international company for pasta and bakery products, it sells its products in more than 100 countries worldwide. Tech Data Corporation (ranked 119 on the Fortune 500® and one of Fortune’s “World’s Most Admired Companies”), is one of the world’s largest wholesale distributors of technology products, services and solutions. The company enables 120,000 resellers in more than 100 countries to efficiently and cost effectively support the diverse technology needs of end users. The shares in Tech Data Corporation are listed on the NASDAQ. Savencia SA is focused on cheese and dairy specialties and is one of the world’s foremost processors of milk. With more than 18,000 employees in 24 countries and 87 production units, the Group is active on all continents. The Savencia SA shares are quoted on the Paris Stock Exchange. 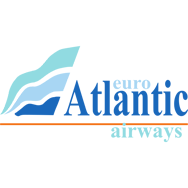 EuroAtlantic Airways specializes in aircraft leasing for other airlines and offers aircraft charter solutions for travel operators and aviation support services. It is a Portuguese registered non-scheduled international airline, operating on very diverse routes in the North Atlantic (USA and Canada), the Caribbean, the Central and South Americas, Africa, the Middle East, the Pacific, Australia and Oceania.